Go all-in on the beach with this fun and entertaining beach towel. 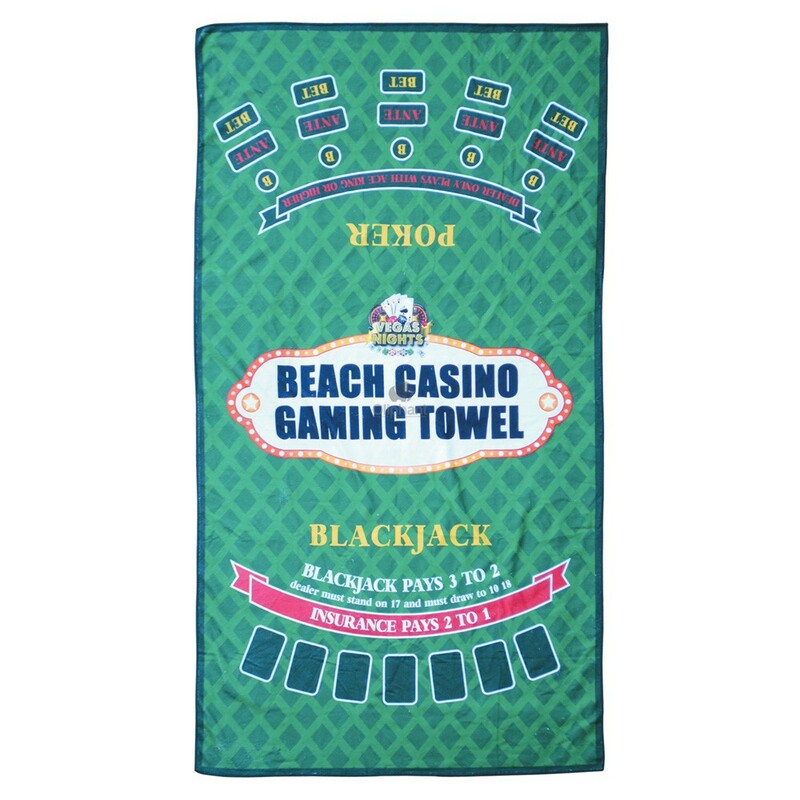 You can play either Blackjack or a game of Poker with our Vegas Nights Gaming Towel Beach Casino. Place your bets, win, and then fold this unique and practical beach towel away! 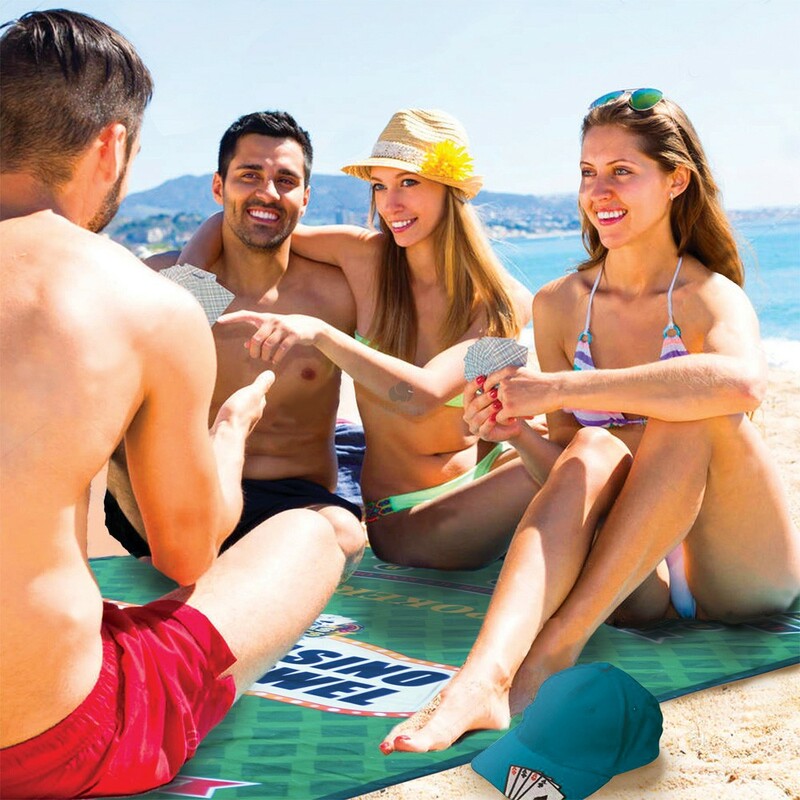 Measuring 160cm x 90cm and made from 100% soft Polyester Microfibre, the Vegas Nights Gaming Towel Beach Casino is the ideal gift to enjoy with family and friends. Out towel is innovative and on one end of the towel you can play Poker and the other end you can play a game of Blackjack. All you need to supply is the playing cards and our Vegas Nights Gaming Towel Beach Casino supplies all the beach entertainment you could wish for. The Vegas Nights Gaming Towel Beach Casino is perfect for the Beach, Picnic’s, Father’s Day, Birthday’s and suitable by all members of your family or friends! This is not just a novelty item, it’s also a practical and soft absorbent beach towel! Buy today ready in time for Summer.